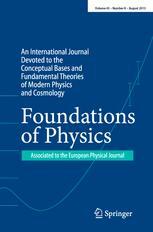 Book Review: The Quantum Theory of Fields, Volume III: Supersymmetry. Steven Weinberg. Cambridge University Press, New York, New York, 2000, vii-xxii+1-419, 849.95 (hardcover). Book Review: Quantum Chaos -- An Introduction. Hans-J$uuml;rgen St$ouml;ckmann. Cambridge University Press, Cambridge, United Kingdom, 1999, xi + 368 pp., 885.00 (hardcover). ISBN 0-521-59284-4.